Valentine’s Day is “Better Together” at the Addison. 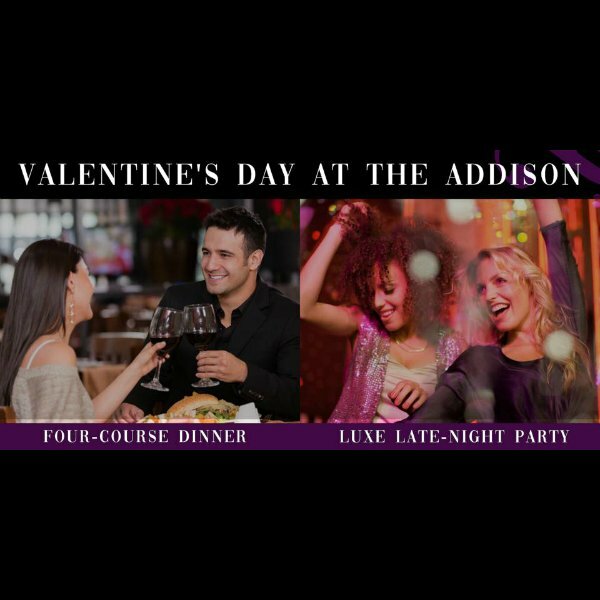 Whether celebrating Valentine’s Day with your significant other, or with your closest friends, the Addison has something to offer everyone this year. The private event venue, known for its breath-taking courtyard and unparalleled dining experience, will open its doors to the public for two very special events. The Addison will offer guests (coupled or not) a four-course sit-down dinner featuring a delicious menu of Addison signature favorites, and will also offer a late-night party for guests to let loose in a luxe club-like atmosphere filled with beautiful décor, live entertainment and an open bar. Guests have the option of attending one or both events. Details can be found below. Tickets are $195 per person (all-inclusive) and must be pre-purchased. This is a rain-or-shine event. Tickets are $85 per person (all-inclusive) and must be pre-purchased. This is a rain-or-shine event. http://theaddison.com or call (561) 372-0568.